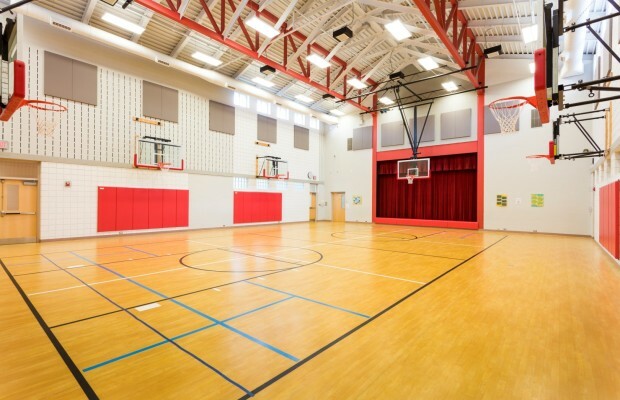 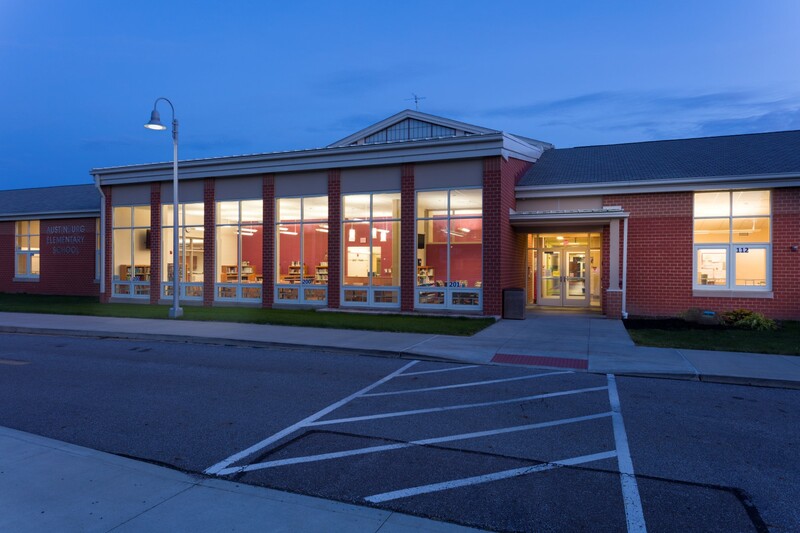 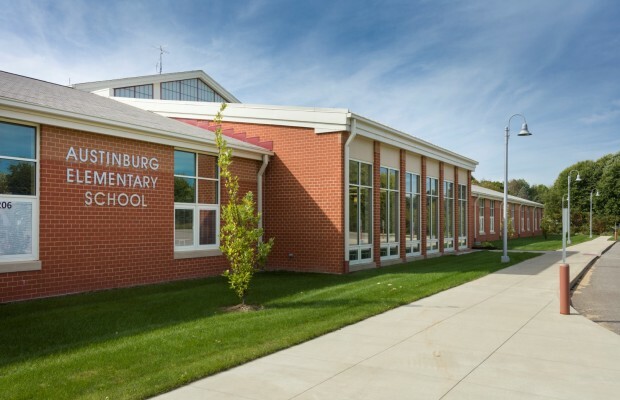 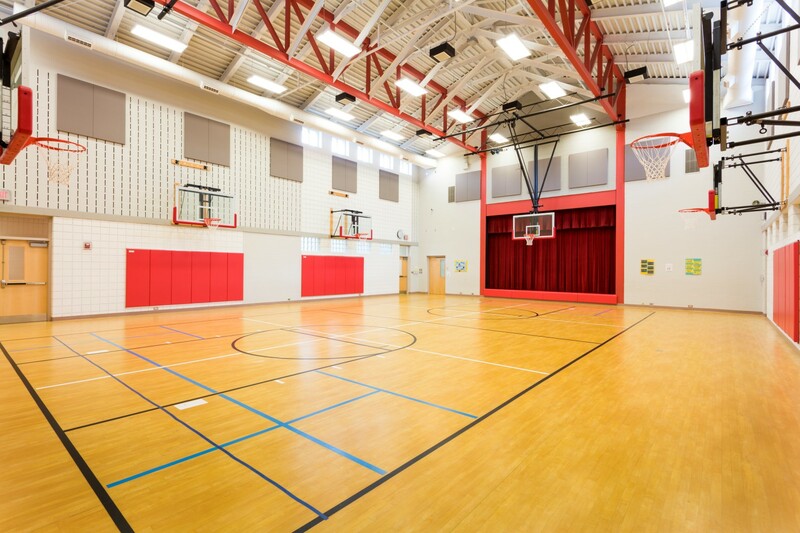 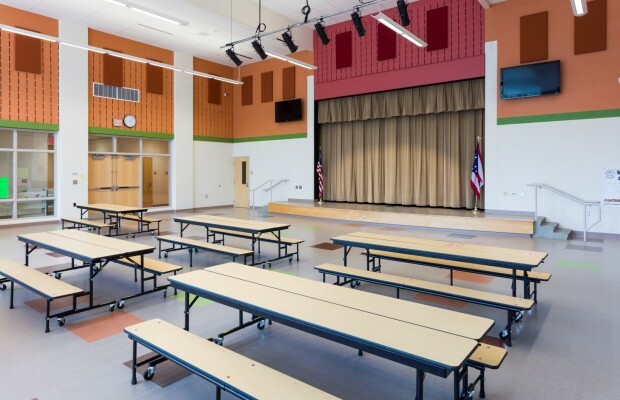 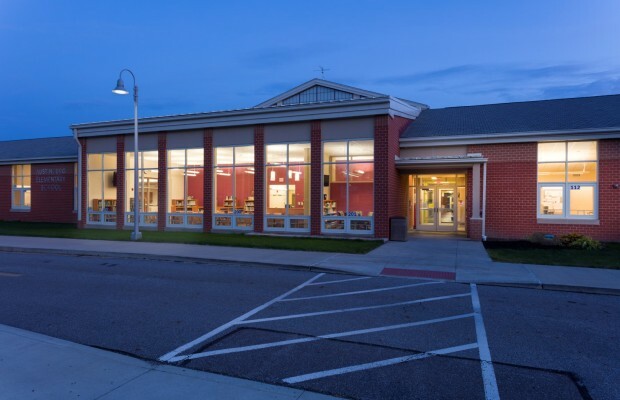 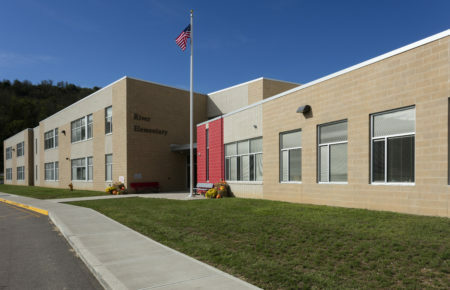 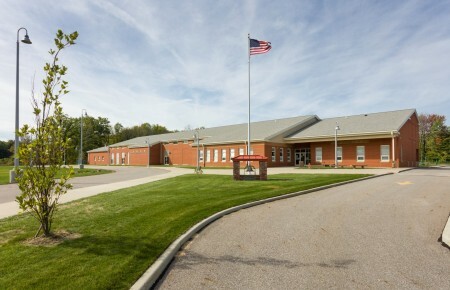 Geneva – Austinburg Elementary | BSHM Architects, Inc.
Austinburg Elementary School located in the heart of Geneva’s Wine Country achieved a LEED Silver Certification under the United States Green Building Council (USGBC) Guidelines. 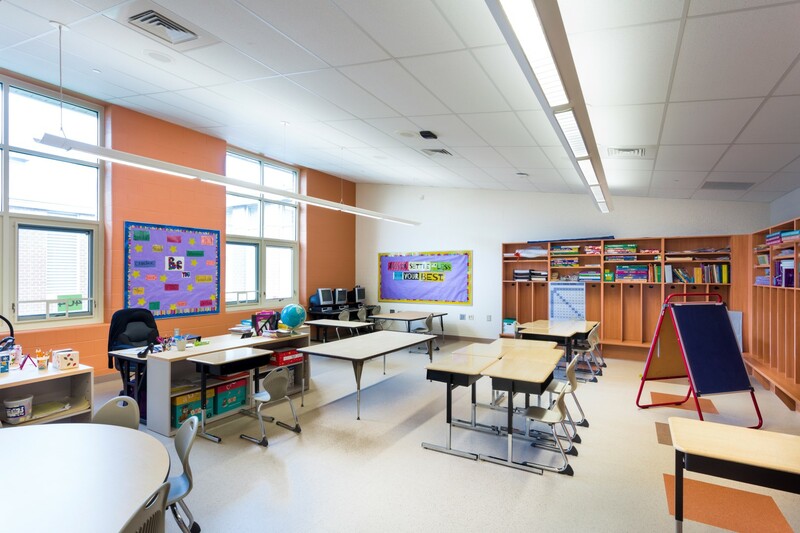 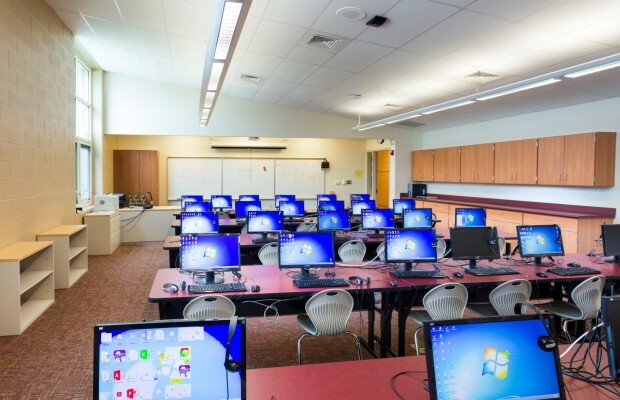 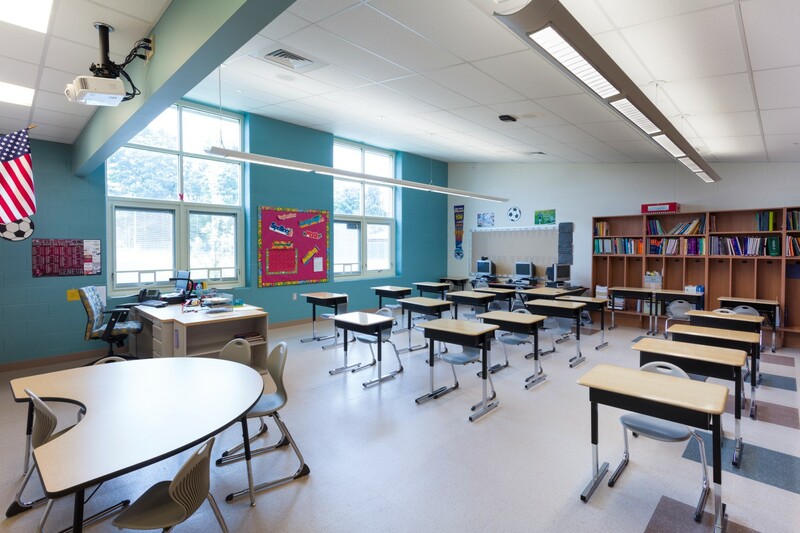 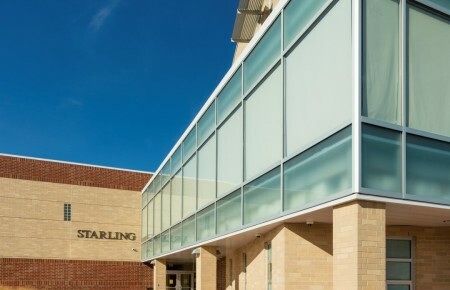 Environmental design strategies included daylighting in all classrooms, increased insulation values, building components to limit air infiltration and efficient mechanical systems to contribute to a 30% performance increase over building code standards. 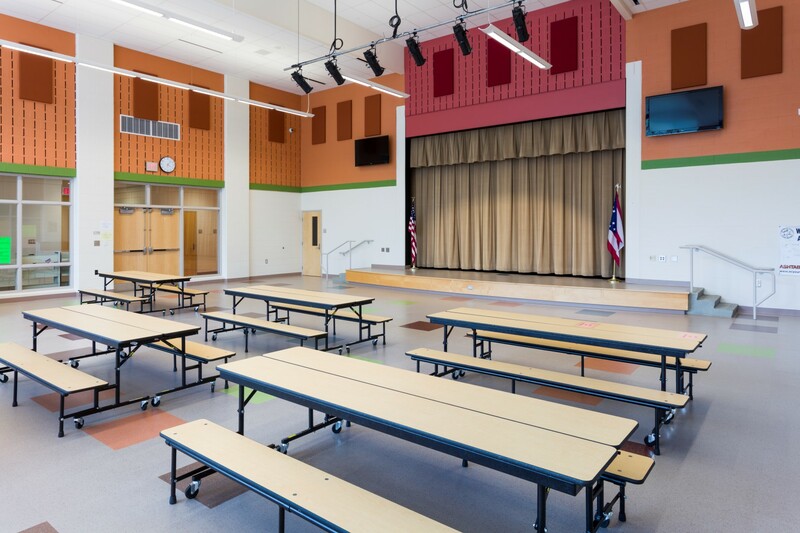 The new school facility also includes building materials with low environmental impact for improved indoor air quality. 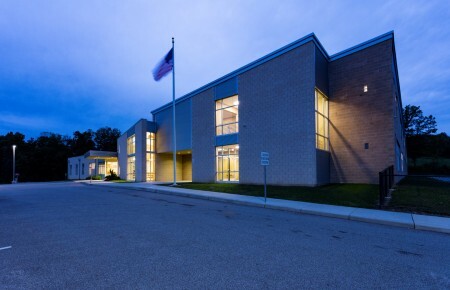 The basis of design for the new elementary school is the main core consisting of the library, gymnasium and student dining areas with North/South facing academic wings extending on each side.